When choosing a family dentist, it is important to ask several important questions at your initial consultation in order to get a better feel for the services offered and the quality of care you can expect for your family. Do you also offer cosmetic dentistry services? Do you use state-of-the-art technology? Do you accept my family’s insurance? If not, what kind of financing options to you offer? Do you have a periodontist on staff? How would you describe the atmosphere of your dental office? At what age do you start treating children? What steps do you take to ensure that children feel comfortable during their appointment? Can you tell me about the education and training of you and your team? Do you have any specialized training in pediatric dentistry? Do you offer orthodontic services? Don’t be afraid to ask follow-up questions if you are not satisfied with the responses you receive. And remember, you are not required to work with a family dentist simply because you attend an initial consultation. If you do not feel comfortable with the dental practice, keep searching for a family dentist who will better meet your needs. Dr. Michael Firouzian has extensive experience providing family dentistry services to patients throughout the Columbus, Ohio area. 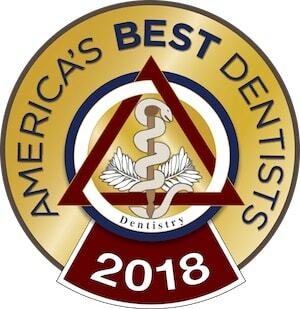 He has completed more than 600 hours of continuing education courses in order to provide you and your family with the exceptional quality dental care you deserve. In order to provide you with the safest, most effective treatments possible, Dr. Firouzian uses the most advanced technology available in all aspects of his practice. This is just part of our commitment to helping you and your family achieve optimal oral health. Please contact Firouzian Dentistry today to schedule your initial consultation.